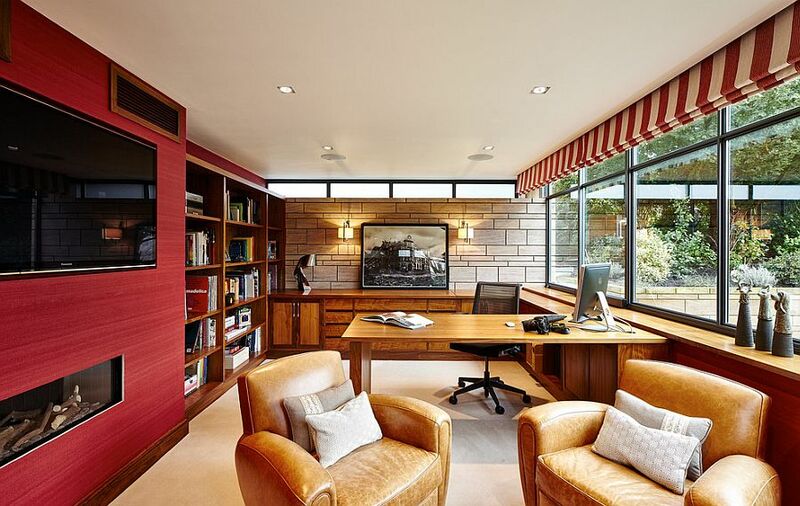 If you are an avid Decoist reader, then you would need absolutely no new introduction to why we value a functional and smart home office so highly. In a world where technology is wiping out conventional boundaries and creating endless opportunities, working from home or even taking part of your work home is now far easier than ever before. 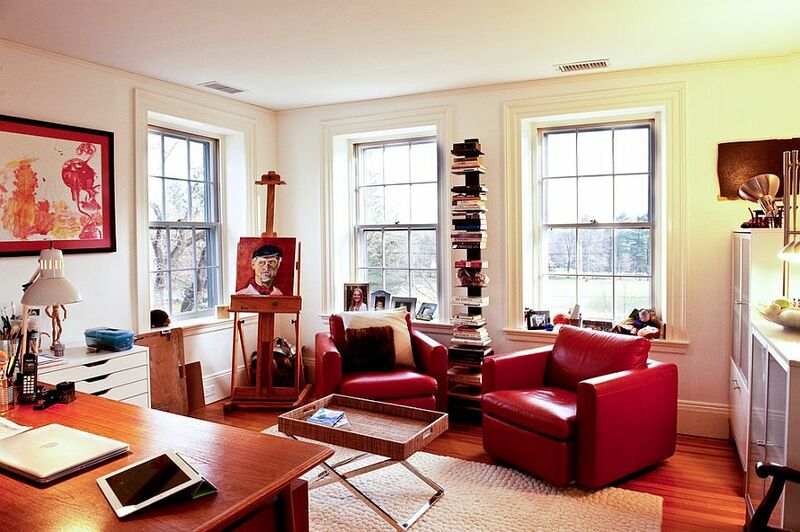 And an ergonomic home office will make your life a whole lot easier in this regard. 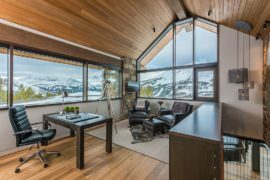 Your version of the home office could very well be that corner in the bedroom with a desk and chair, a savvy nook in the kitchen or a dedicated room that could put any boring cubicle to shame – there definitely is no one universal template here. 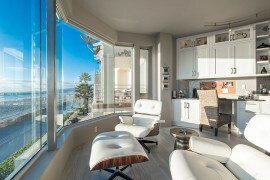 But as you plan for a smashing home office that serves all your needs, do not forget about aesthetics. Color is an essential and irreplaceable part of this elusive jigsaw, and few colors come close to the sheer brilliance, vivacious joy and boundless radiance of red. 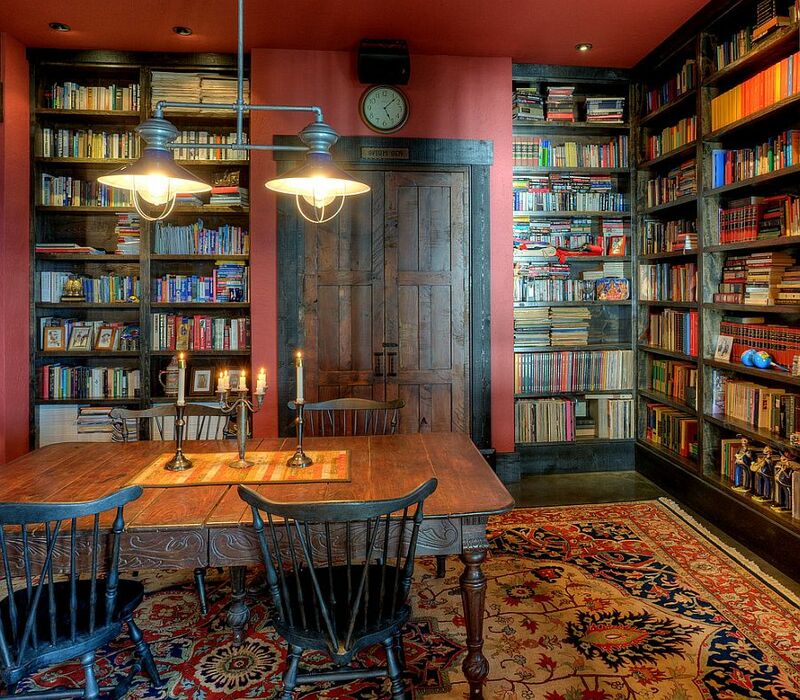 Seemingly overwhelming, it is a color that ends up stealing the spotlight when used right. 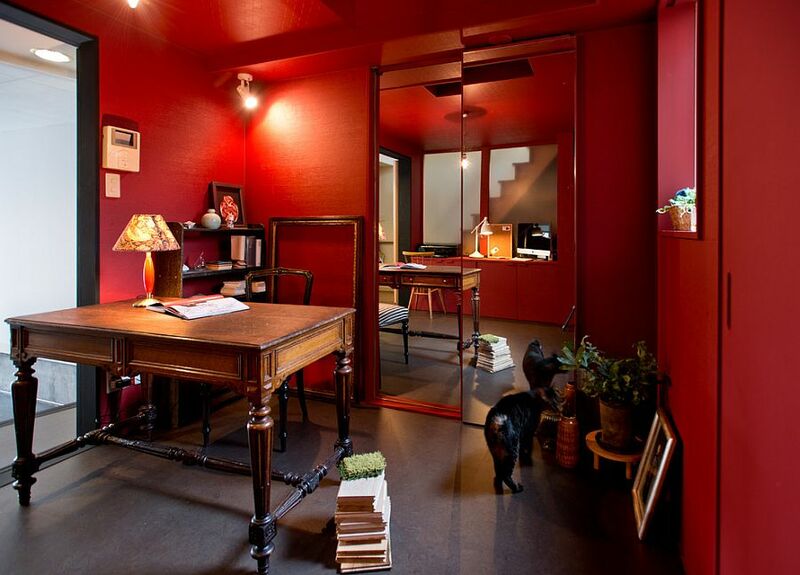 Bold, beautiful and at times just passionate, here is how to use red in the home office. 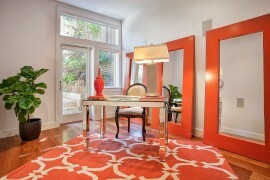 Let’s not dance around this; red is for those who are fearless and imaginative when it comes to home decorating. Of course, you could be that person as well if you know exactly how to utilize the positive features of the bold hue. 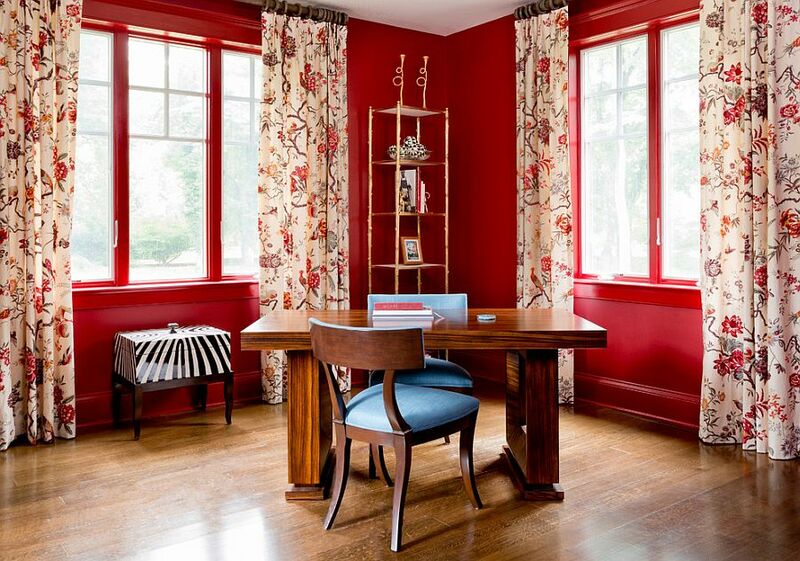 Painting the home office red, quite literally, is a look that works only for those who absolutely love the color! 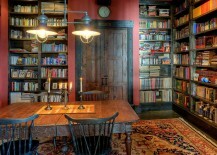 Others might find it initially fun, but soon the idea of a red home office seems both overwhelming and unappealing. 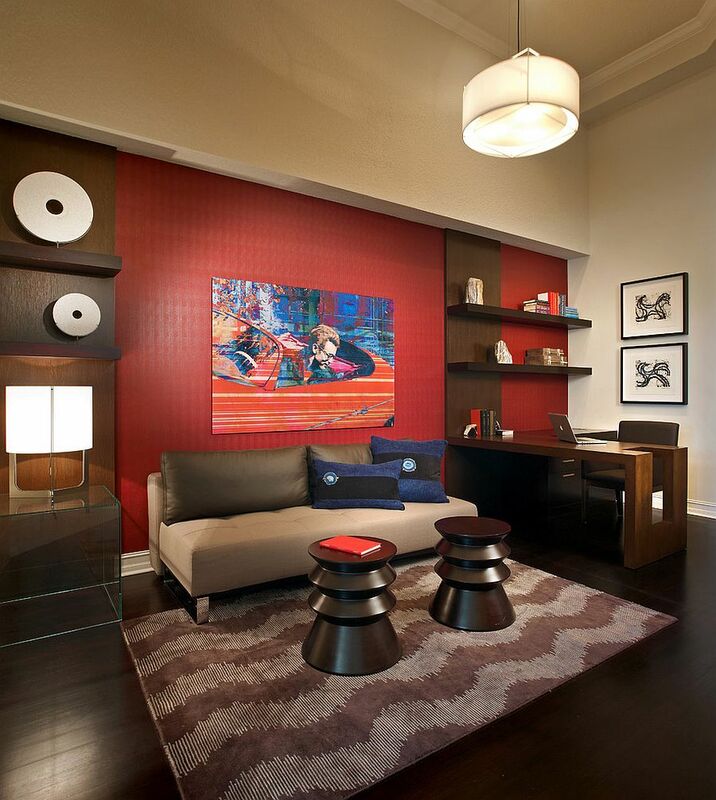 So, choose carefully both the shade of red you want to use and whether you want to limit it to an accent wall or go beyond it. 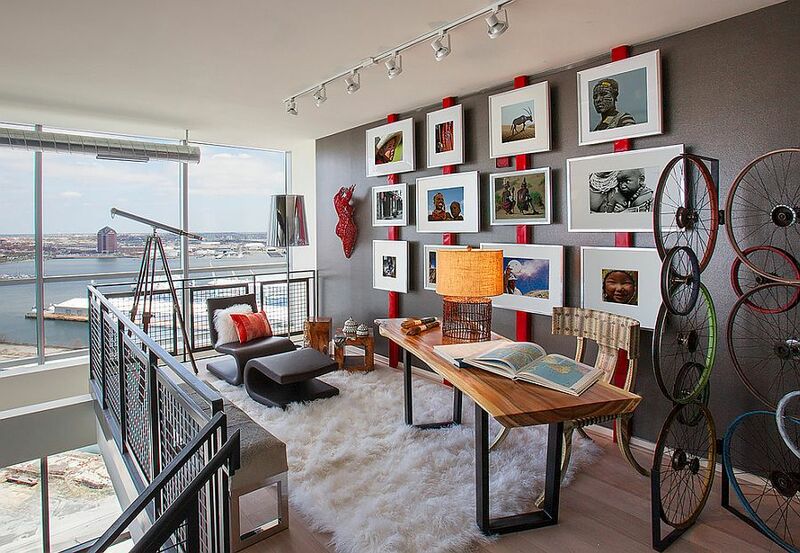 As the home offices here showcase, red works with different styles ranging from rustic and Asian to contemporary and minimal. 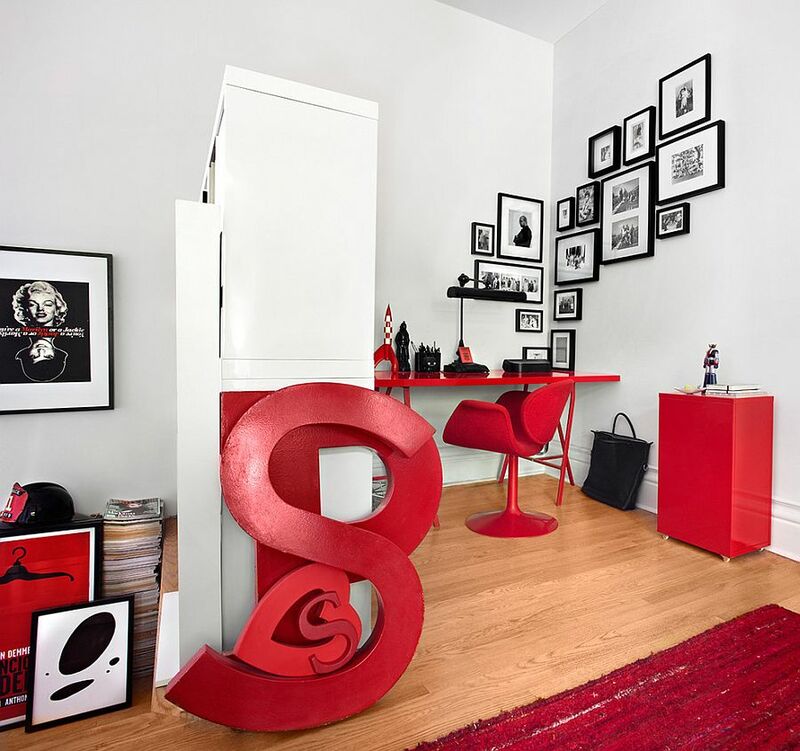 Both black and white are the preferred choices along with red, and while black anchors, highlights and delineates, white gives the room a cheerful and more modern look. Always think of color in more than just one dimension. 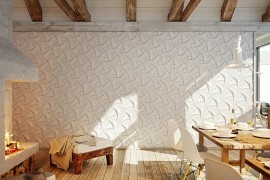 Instead of just painting the walls red, turn to alternatives such as wallpaper to add both color and texture to the room. Wallpapering just one section of the home office also gives you greater flexibility with the decorating of the room and ensures that a ‘red aura’ does not completely take over. 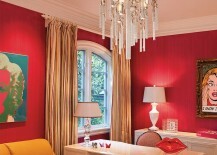 Another way to give the red walls greater depth is by choosing either a distinctly matte or glossy finish. But beware, glossy red is another one of those choices that is not for everyone! Some say that adding accents to the room is in a way ‘cheating’, as you are not actually employing the color in a predominant manner. 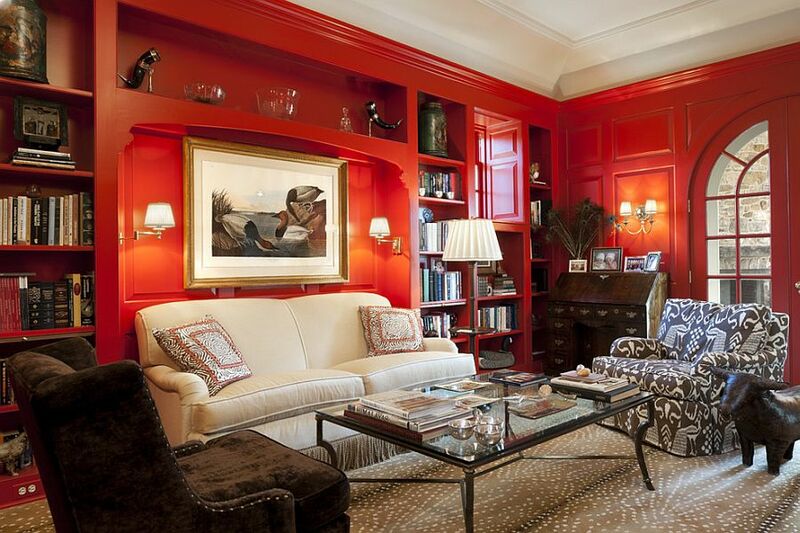 But many of us would still gleefully accept this approach when using daring and bright colors like red in the home office. 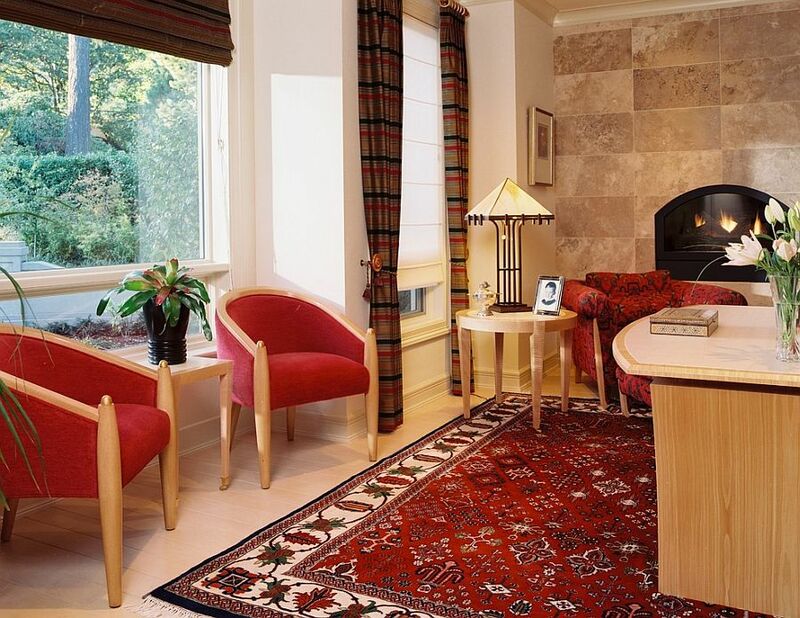 Do not limit yourself to smaller pops of red like vases or artwork, and go bold with maybe a couple of classy club chairs in red, a gorgeous vintage cabinet in maroon or even a table and chair in scarlet, which end up becoming the focal point of the room! 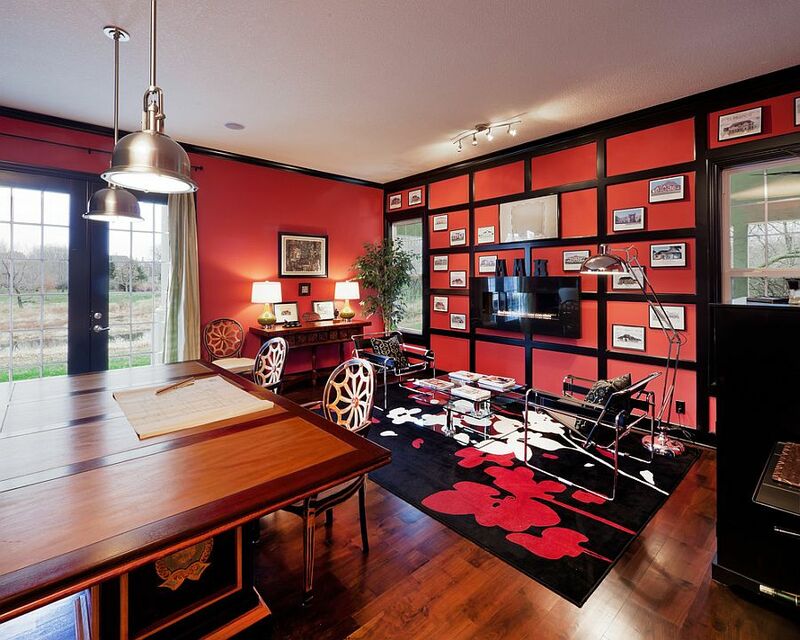 A home office provides you with ample opportunity when it comes to adding décor in red. Walls definitely bear the brunt of our decorating fervor, but the next time you wish to introduce a new color, pattern or even style in your home office, look beyond the mere obvious. The ceiling is often the most underutilized portion of most rooms, and painting it red or even giving it a custom stencil or mural could well give the home office that red glint you are after. Drapes offer another easy way to add bold color and even create a dynamic backdrop depending on the time of the day and season. They also allow you to switch between trendy, seasonal shades with ease. 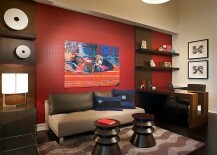 With the holiday season here, maybe a hint of red is what your home office needs to usher in some festive joy. Do not be afraid to dabble in the crimson arts!